I spent four extremely profitable hours at the Surratt Museum in Prince George’s County, Maryland. I was rooting around in the research center’s collections for more information on John Yates Beall’s operations from Canada on and around the Great Lakes in the later stages of the Civil War and possible connections with a Confederate courier, Samuel Boyer Davis, and an agent H.H. Brogden. Both Beall and Davis were condemned by military commissions in New York and Cincinnati, respectively, to be executed as spies on about the same date. Beall was hanged despite immense political pressure being put on Lincoln to stay the execution. Davis was spared with less political pressure. 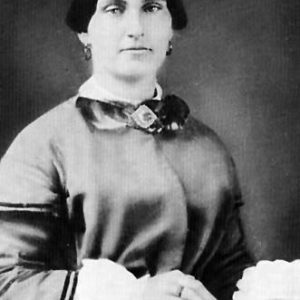 Mary Surratt was also condemned by a military commission for her role in the Lincoln Assassination, less than five months after Beall’s death. These proceedings cannot be compared to civilian trials or even military courts-martial. Hearsay, right to counsel, three-fifths vote to condemn to death, etc., all were allowed in the commission proceedings. Conspiracy theorists to this day link Lincoln’s murder to Beall’s execution through his ties to John Wilkes Booth. The ties are tenuous at best. Colleen Puterbaugh of the center at Mary Surratt’s home was an immense help in burrowing down those rabbit holes.